The conference will begin with the presentation of the PMWC’s prestigious Luminary & Pioneer Awards (https://www.pmwcintl.com/2019sv/awards/). The PMWC Luminary Award recognizes recent contributions of preeminent figures who have accelerated personalized medicine into the clinical marketplace. The PMWC Pioneer Award is given to rare individuals who presaged the advent of personalized medicine when less-evolved technology and encouragement from peers existed, but still made major advances in the field. This year, for the Luminary Award, PMWC will be honoring Carl June, MD (Director of Translational Research at the Abramson Cancer Center at the University of Pennsylvania), for developing CAR-T therapy (the world’s first gene-based cancer therapy); Sharon Terry (CEO, Genetic Alliance), for inspiring and leading the movement to build systems for individuals to access and share health data; and Feng Zhang (Associate Professor, MIT), PhD, for spearheading the development of optogenetics and CRISPR. For the Pioneer Award, PMWC will be recognizing George Yancopoulos (Co-Founder, President, CSO, Regeneron), MD, PhD, for developing foundational technologies designed to invent groundbreaking therapies. The PMWC will be making Q&A interviews with the award winners available ahead of the meeting and the interview with Dr. June is available now. You may find this interview at this link (https://www.pmwcintl.com/carl-june-2019sv-qa/). The first of a number of questions and Dr. June’s response to this first question are provided here. Please go to the PMWC web site to review the remainder of the Q&A interview of Dr. June. 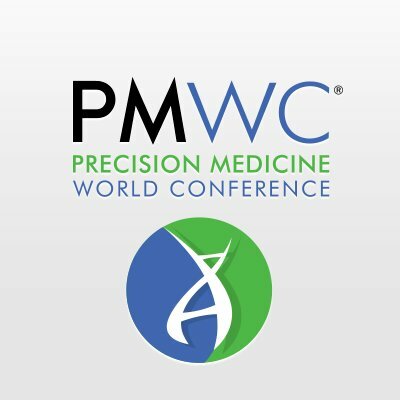 To learn about the latest developments in precision medicine at PMWC 2019 and to meet and hear from the preeminent leaders of all the inter-related fields, please register here: https://www.pmwcintl.com/registration/?page_scroll=2019sv. If you are a patient advocate or in academia and cannot afford to purchase a ticket, contact team@pmwcintl.com or chat with them on the website - mention BioQuick News and they will do their best to assist you. Here is the first question asked of Dr. June, with his response. First Question: The track theme is on the topic “How do we accelerate and deliver on the promise of cancer immunotherapy?” What are some key promises regarding immune-oncology, that we can build upon and translate into reality and how can we expedite delivery? Please go to the PMWC site to view the entirety of Dr. June's Q & A interview (https://www.pmwcintl.com/carl-june-2019sv-qa/).